Galen is a young soldier returning from war; Rose is one of twelve princesses condemned to dance each night for the King Under Stone. 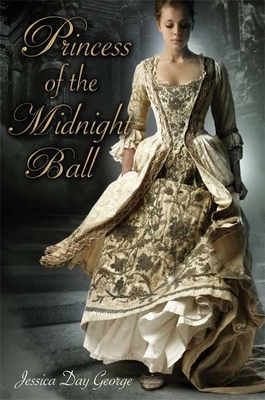 Together Galen and Rose will search for a way to break the curse that forces the princesses to dance at the midnight balls. All they need is one invisibility cloak, a black wool chain knit with enchanted silver needles, and that most critical ingredient of all true love to conquer their foes in the dark halls below. But malevolent forces are working against them above ground as well, and as cruel as the King Under Stone has seemed, his wrath is mere irritation compared to the evil that awaits Galen and Rose in the brighter world above. Captivating from start to finish, Jessica Day George's take on the Grimms' tale "The Twelve Dancing Princesses "demonstrates yet again her mastery at spinning something entirely fresh out of a story you thought you knew.